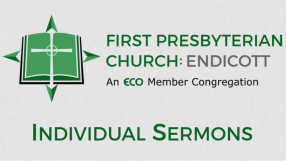 RLC- Going 4-7-19 from FPC Endicott on Vimeo. From Series: "Red Letter Challenge"
The mission of Red Letter Challenge (RLC) is to help people live more like Jesus. Sadly, when people think of Jesus-followers it is a far cry from who Jesus actually is. After all that Jesus has done for us, we cannot be content with the picture and representation that we are sharing. We must change the story and perception of who Jesus is. We believe that if people truly met the real Jesus, they would really fall in love with Him. So how do we change the story that we are telling? We go back to Christ’s words. You know, those red letters in your Bible. It turns out He had a lot to say to His followers about what we are called to do and how we are called to live. The RLC is unique because it takes Christ’s literal words and gives you practical daily challenges based on those words. The RLC will give you targets to shoot for to help you measure how you are practically following after Him. RLC believes that Jesus followers want to be the best Jesus followers that we can be not out of obligation, but out of gratitude for what Jesus has done for us! Do you have what it takes to really follow Jesus? To truly do what He said? We believe you do! The RLC will help you: 1) Have a deeper relationship with Jesus. 2) Receive God’s forgiveness in your life and give grace to others. 3) Give you a greater heart of service. 4) Help you become more generous. 5) Give you confidence to speak about what Jesus has done in your life. More From "Red Letter Challenge"